You’re not the only one with a New Year’s resolution. Countless retailers around the world are looking to increase sales in 2017. Look for these three retailer trends this new year. Expect stores to get smarter in how they integrate technology into the customer and buying experience. Stores will be more in tune with each other and store associates will be aware of this. This can already be seen in many chain stores being able to check product availability through the surrounding area. However, you can bet this will increase with associates understanding customers better by having access to more data such as products customers have bought and browsed. The rise of niche retailers will be seen for both new and existing brands. These niche retailers will look to capitalize on a more personalized customer experience. Large brick-and-mortar stores will seek to take advantage of this by offering more shop-within-a-shop opportunities. Convenience will be a bigger focus in the new year. Expect to see more growing options for push-to-order buttons such as Amazon’s Dash buttons. Voice options will most likely grow as well with customers being able to simply tell Siri or Alexa to reorder items they’ve previously bought. In the restaurant and grocery industries, expect technology that remembers your orders and buying history to become commonplace. Along with these new trends, we may even see things take a step further as subscription services grow. 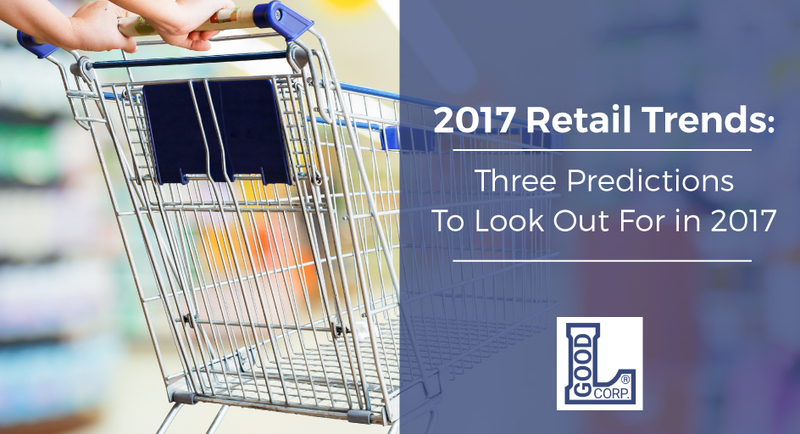 These are but a few retail trend predictions for 2017. If you’re interested in more, click here. If these predictions come true, the shopping experience is only going to get better with more technology integration and a better customer experience.